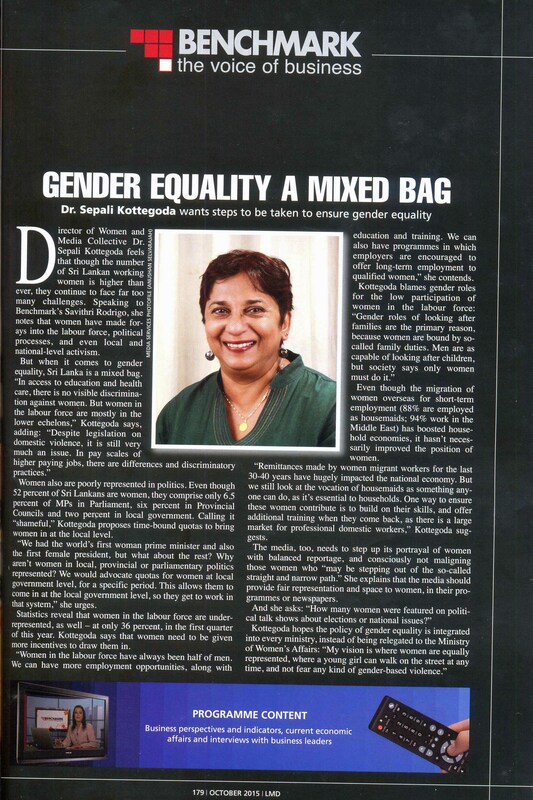 Director of Women and Media Collective Dr. Sepali Kottegoda feels that though the number of Sri Lankan working women is higher than ever, they continue to face far too many challenges. Speaking to Benchmark’s Savithri Rodrigo, she notes that women have made forays into the labour force, political processes, and even local and national level activism. But when it comes to gender equality, Sri Lanka is a mixed bag. Watch the full interview below.